It all seems that motorcycles are more often appear in the extreme, limited editions, that with its price exceed the numerous exotic names in the automotive world. 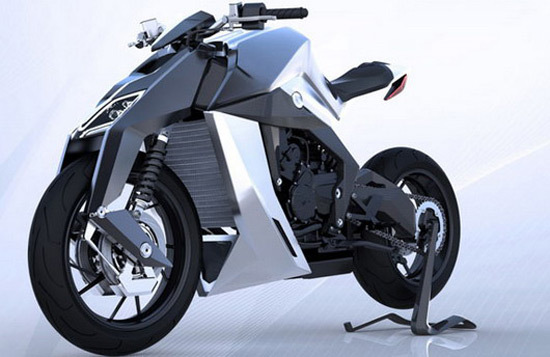 The designer Yacouba Galle, who is known for his “creations”, these days showed a motorcycle called Feline One, which should be on the market during 2016. 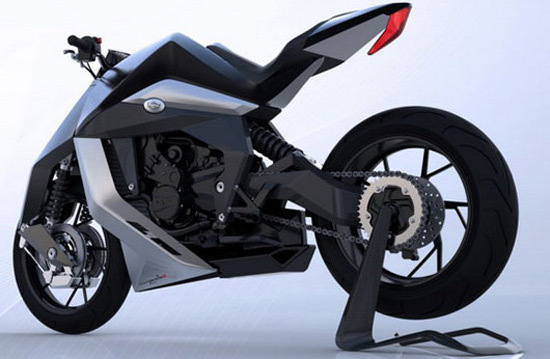 The heart of the project is three-cylinder, four-stroke engine, of 801 cc, which delivers about 170 horsepower, which is more than enough, bearing in mind that the whole motorcycle weighs only 155 pounds. This is achieved by using carbon fiber, titanium, and special alloy of aluminum, which is used in the airline industry. It should also be noted that even the springs on the front and the rear shock absorber, are made of carbon fiber. What is interesting is the braking system, which has four front discs diameter of 230 millimeters and the rear disk with a diameter of 220 mm. 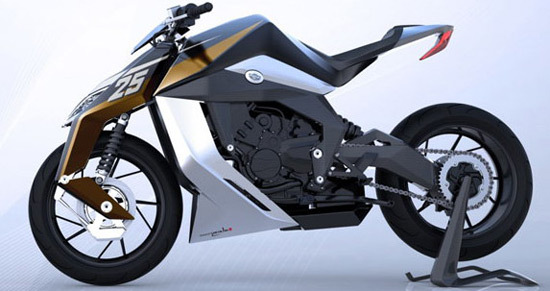 Only 50 copies of this unique bike will be offered, and due to the use of high technology and materials, the price of a single copy will be around 250,000 euros($285,000).